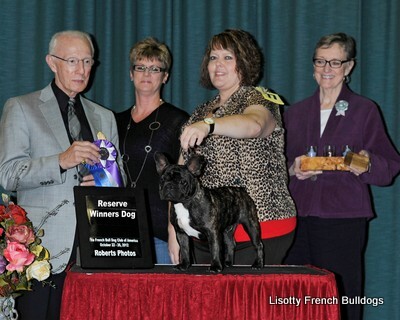 Trace made his debut at the 2012 French Bulldog Regional Specialty and National Show held in Portland Oregon. At just 6 months of age, Trace made his breeder, Heidi Valenzuela, and myself extremely proud by winning the very large and competitive 6 to 9 month puppy class and then going on to be Reserve Winners Dog at the Regional Specialty! 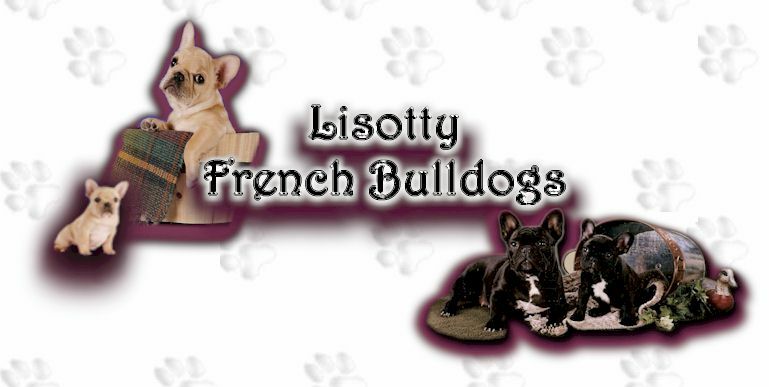 THANK YOU HEIDI FOR LETTING THIS SPECIAL BOY COME TO LIVE WITH THE LISOTTY GANG. Trace also placed 2nd in the 6 to 9 month Sweepstakes class under breeder judge Luca Carbone.